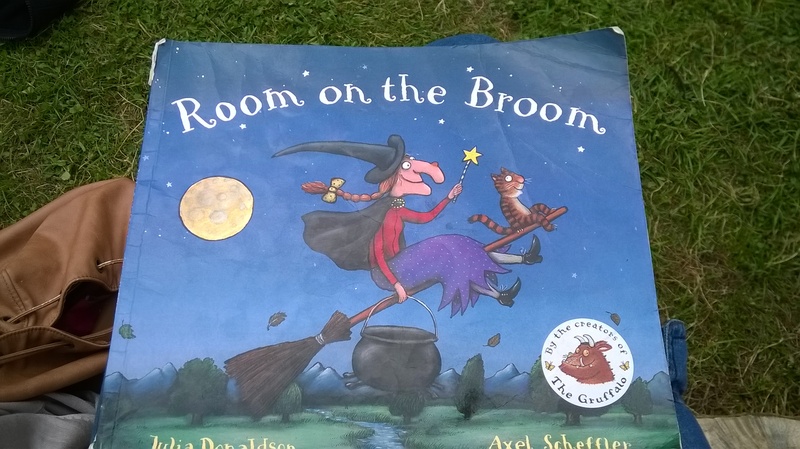 Our first holiday adventure this week took us to the Room on the Broom Trail at Anglers Nature Park in Wakefield. Natalie loves the story by Julia Donaldson (pretty much knows it word for word) – Gruffalo author for those that aren’t familiar with her. Off we headed, book in hand and picnic prepared. 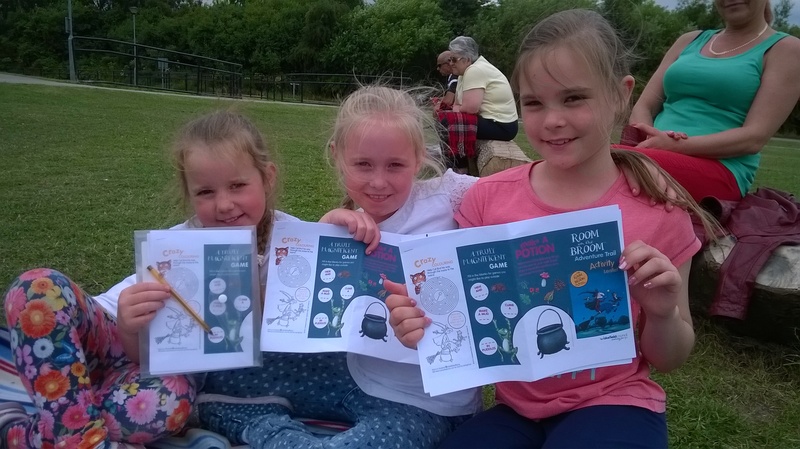 Activity packs to take round with you on the trail are available for £2 from the visitors centre, or you can print them off yourself at home. 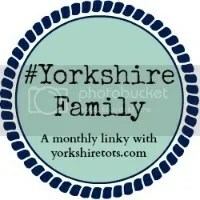 They are worth it for the older kids as they include games, colouring sheets, scavenger hunt and more. Parking is free when you get there, and just a few paces from the start of the trail. 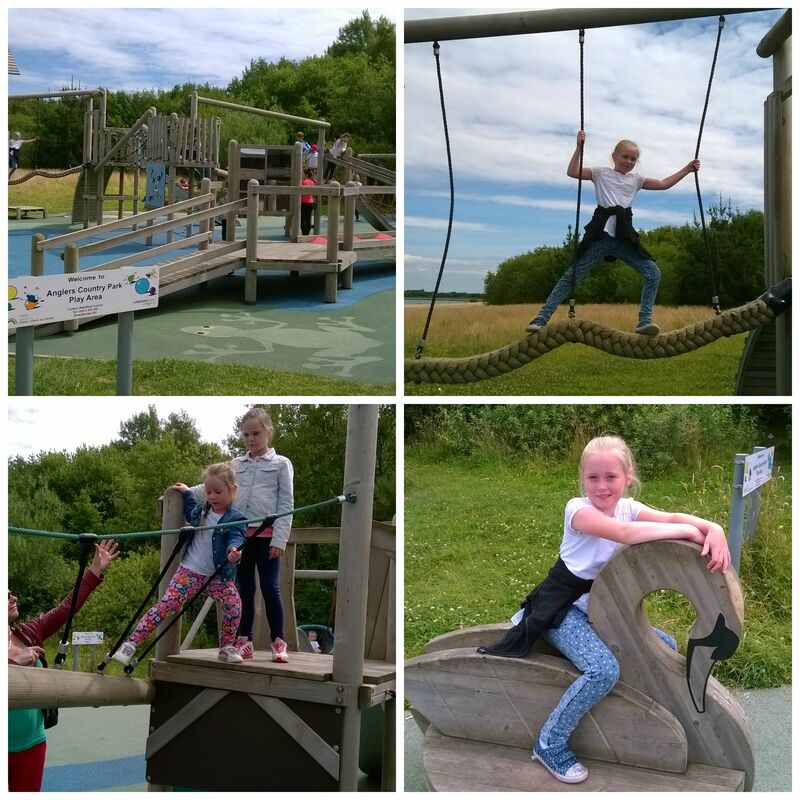 There is also a lovely adventure park next to cafe and the toilets, along with picnic tables, but would also suggest a blanket as there was also a grassy area to sit on too. 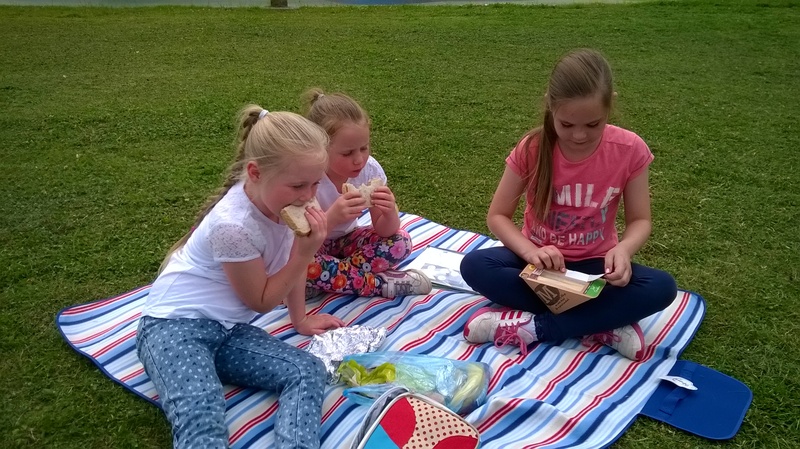 We decided to stop off for a play and picnic before we started the trail giving us the chance to read the story together over lunch and talk about the things we might be able to find on our trail. The trail itself is 2 miles around the lake, so quite a walk for little legs, but the path is pushchair, scooter and bike friendly. 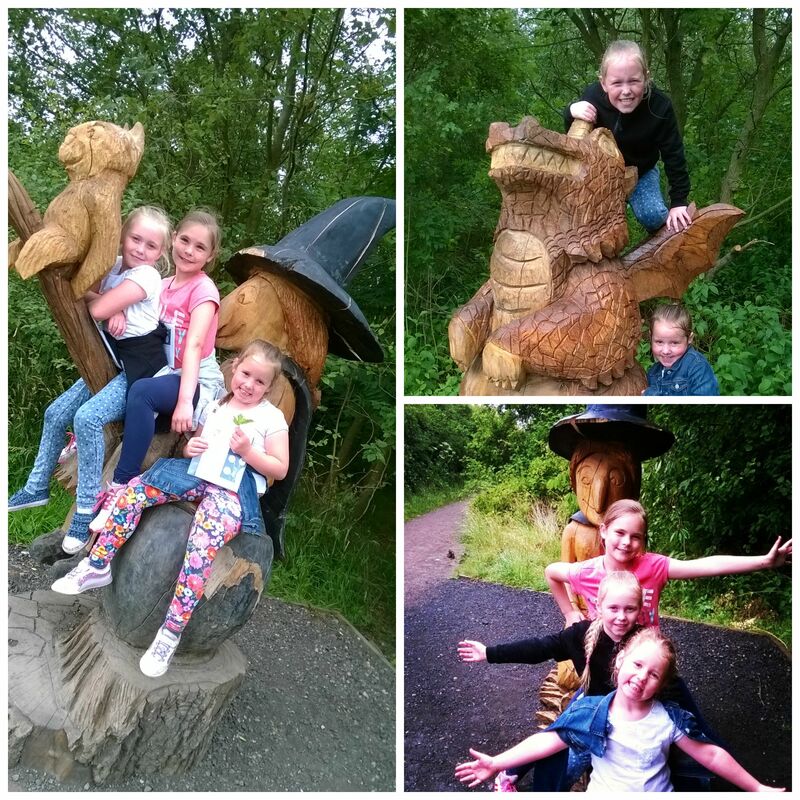 Along the way are wooden sculptures of the characters in the book (great for photo opportunities), chance to do rubbings and the trail is well marked and easy to follow. Unfortunately the good old British weather let us down as about half way round a bit of light drizzle turned to proper rain and we had to pick up the pace considerably. 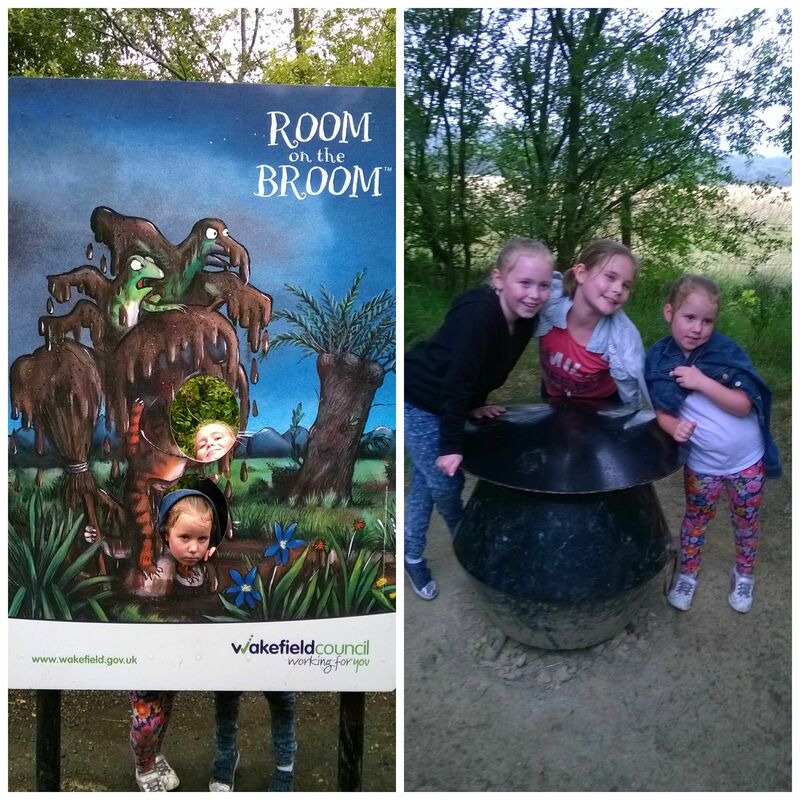 We still stopped for photo’s (the photo board and the cauldron at the end are nice touches), but it meant that we did miss out on really being able to take in and enjoy the trail, the surroundings and animals along the way . 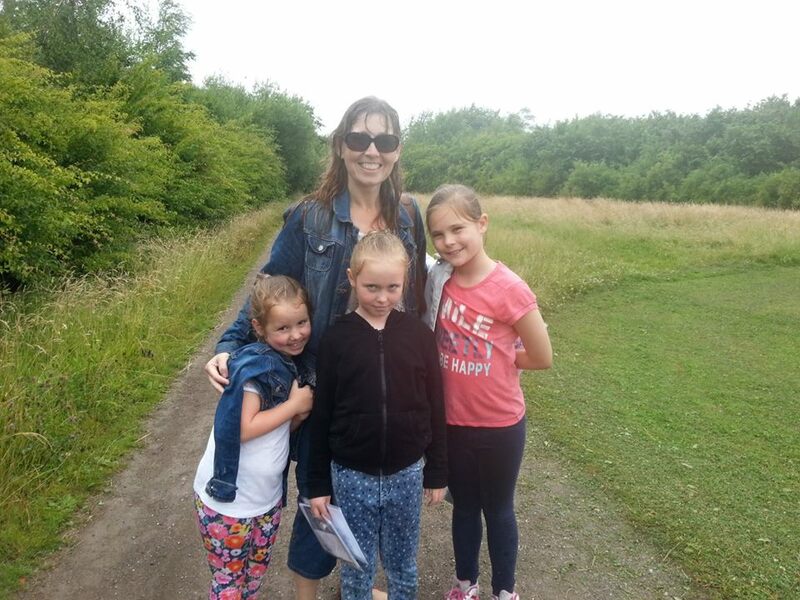 There were plenty of ducks, butterflies, buzzy bees, dragonflies & squirrels – much to the delight of the children, and had the weather not made a turn for the worse we really would have made the most of it. 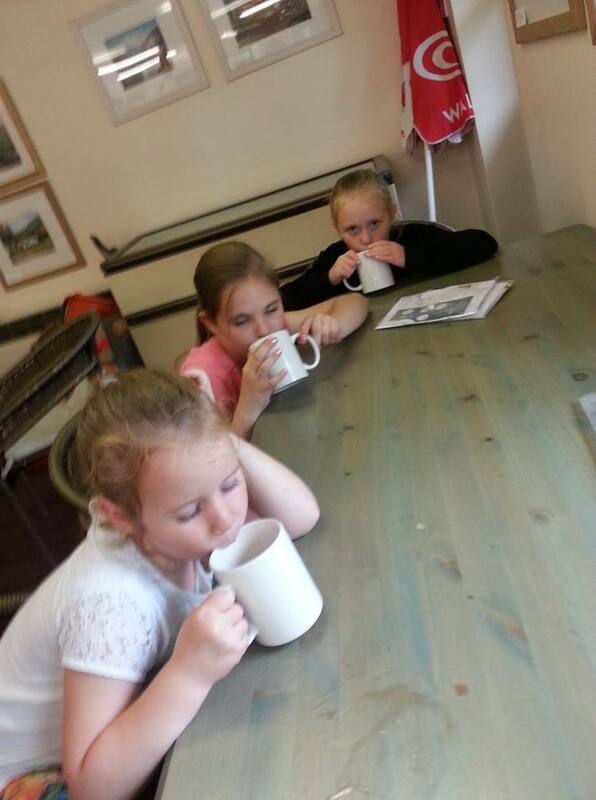 but still smiling and nipped in to the cafe for hot chocolates to warm up. Overall, an enjoyable and cheap trip out. Take wellies if its been raining as the trail was a little (not overly) muddy in parts and a few puddles to negotiate. Food is available in the cafe, but we didn’t try it as we’d taken our own. We will go again, and keep fingers crossed for a dry day!